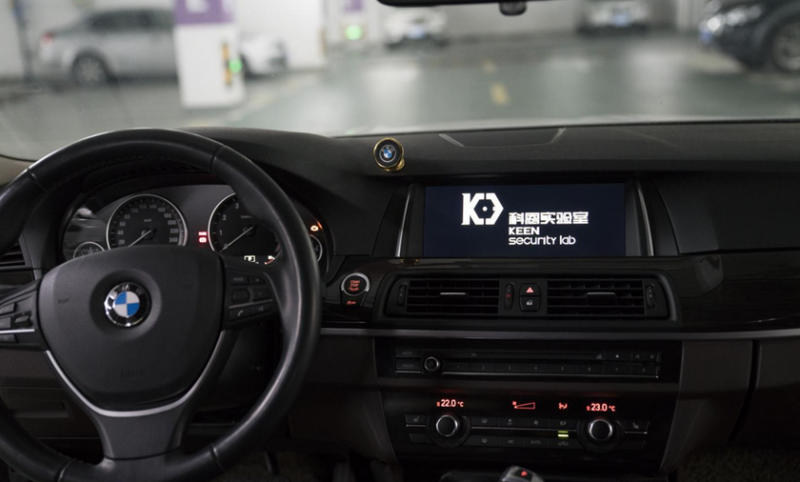 Researchers from Keen Security Lab, a cybersecurity research unit of Chinese company Tencent, have conducted an in-depth analysis of various systems present in BMW cars and discovered more than a dozen locally and remotely exploitable vulnerabilities. Keen Security Lab focused on the head unit, the telematics control unit (TCU or T-Box), and the central gateway module in several BMW models. Over the course of 13 months starting in January 2017, experts discovered a total of 14 vulnerabilities, including seven that have been assigned CVE identifiers. The researchers published a report describing their findings, but they left out some important technical details to prevent abuse. A full report is expected to become available sometime in early 2019. Eight of the flaws impact the infotainment system, four affect the TCU, and two the central gateway module. Some of the security holes can be exploited to execute arbitrary code and take complete control of the affected component. The TCU in connected vehicles provides telephony services, accident assistance services (e.g. E-Call, B-Call), and the ability to remotely lock/unlock the doors and operate the climate control. The central gateway module is designed to receive diagnostic messages from the TCU and the head unit and transfer these messages to other Electronic Control Units (ECUs) on different CAN buses. Exploiting some of the vulnerabilities requires physical access to the targeted vehicle, but other attacks can be conducted over a short range via Bluetooth or over long distances via cellular networks, even while the car is being driven. The fact that arbitrary diagnostic messages can be sent to ECUs can pose a serious security issue, Keen Lab says. BMW, which described the research as “by far the most comprehensive and complex testing ever conducted on BMW Group vehicles by a third party,” has confirmed the findings and has already started rolling out patches. The company made some updates to its backend systems and pushed out over-the-air patches for the TCU. Additional firmware updates designed to mitigate attacks will be made available to customers at dealerships. The carmaker named Keen Security Lab the first winner of the BMW Group Digitalization and IT Research Award, which aims to reward pioneering research in software development and IT, including cybersecurity, artificial intelligence, big data, IoT, connectivity, and autonomous driving. This is not the first time the Chinese researchers find vulnerabilities in connected vehicles. In the past years, Keen Security Lab also demonstrated hacker attacks on Tesla Model S and Model X cars.